Cannot be Normal Summoned/Set. 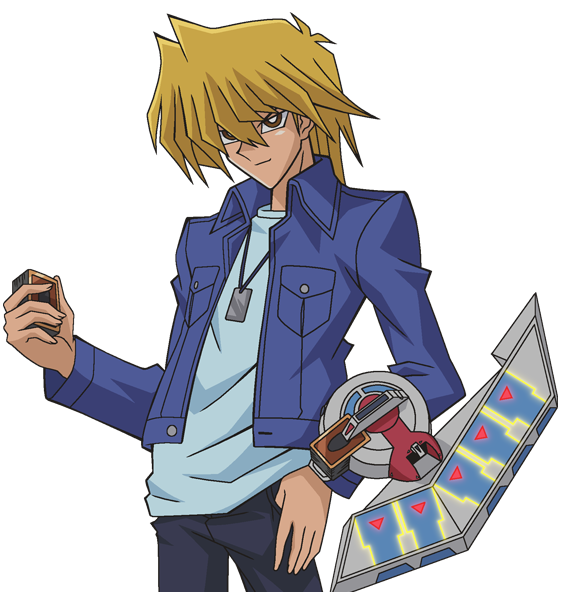 Must first be Special Summoned (from your hand) by Tributing 1 “Red-Eyes” monster from your hand or field. You can only Special Summon “Red-Eyes Alternative Black Dragon” once per turn this way. 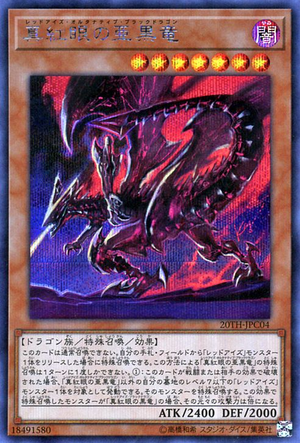 (1) If this card is destroyed by battle, or if this card in your possession is destroyed by an opponent’s card effect: You can target 1 Level 7 or lower “Red-Eyes” monster in your GY, except “Red-Eyes Alternative Black Dragon”; Special Summon that monster, and if it is “Red-Eyes B. Dragon”, its original ATK becomes doubled. comentários: semi-nomi monstro com formula fácil de summon. quando removido do campo, invoca um red-eyes do cemitério. MUITO BOM!!! 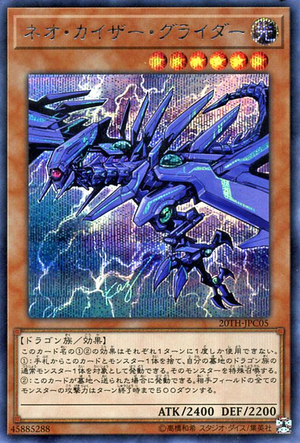 You can only use the (1)st and (2)nd effects of this card’s name each once per turn each. (1) You can discard this card and another monster, then target 1 Dragon Normal Monster in your GY; Special Summon that monster. (2) If this card is sent to the GY: You can activate this effect; all monsters your opponent controls lose 500 ATK until the end of this turn. arte da carta: bela repaginaçao do kaiser glider! Obrigado Takahashi sensei!